The willingness of the Police to play Russian roulette with public safety via its current policy on pursuits continues to end in carnage: three dead in Nelson, two in the speeding car, and one member of the public unlucky enough to be in the wrong place, at the wrong time. More crocodile tears have been shed by the Police about this ‘tragedy’ to go along with the all the other avoidable tragedies being generated by this policy, year in, decade out. Reportedly, yet another “review” of Police pursuit policy is under way, to sit alongside all the multiple reviews of these practices conducted (and shelved) over the past 15 years. * The risk to public safety from not stopping an offender should be the principal factor justifying a decision to pursue. * The decision to pursue should be based on known facts, rather than general suspicion or speculation. Despite the IPCA being regularly entrusted with the review process on pursuits, the lack of significant change by the Police requires that this process should now be entrusted to a truly independent body, as Auckland lawyer Deborah Manning cogently argued on RNZ this morning. 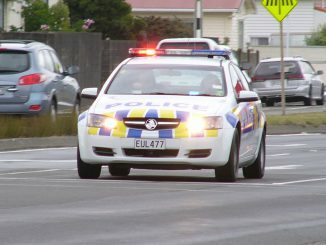 New Zealand police chase between 2000 and 2500 vehicles every year – three times as many as in Victoria, which has a population of a million more, and seven times as many as Queensland, with a roughly similar population. In Queensland, 11 people died in pursuits in the decade to 2010. In New Zealand in just five years, from 2007-2011, 33 people died. And yet Queensland moved this year  to all but ban pursuits because of the unacceptable risk to public safety. Even before its new policy came in, Queensland abandoned around 73 per cent of chases compared to New Zealand’s 48 per cent. Tasmania, which banned pursuits in 1999, says it has not resulted in any increase in road or other crimes, despite claims that “anarchy” would ensue. As this 2010 press release from the Tasmanian Police explains, the ‘primary objective of Tasmania Police’s pursuit policy is to minimise risk to the public, people in offending vehicles and police officers.’ [Not the case here, where catching the fleeing offender seems to be the primary objective.] Tasmania therefore makes use of video technology in lieu of chasing the offender, in all but extreme cases. In addition, it has in place an explicit offence called “Evade Police” to deter people from fleeing. If there was a similar offence in New Zealand, this could then be used as the cutting edge of an education campaign to convince people to stop, rather than to flee. What we do know – from all those multiple reviews – is that the vast majority of those speeding from Police pursuits have committed only minor traffic offences or minor property crimes. They are not speeding away after committing serious crimes against either people or property. In a relatively few cases, the offenders will be travelling in stolen vehicles, which will make subsequent apprehension a little bit harder – but even then the possibility of a few minor offenders escaping arrest should be weighed against the risk of killing them and/or killing (or seriously injuring) members of the public. In 2007, Victoria, Canada, brought in a policy that police had to believe a driver or passenger had committed or was about to commit a serious offence involving the imminent threat of grievous bodily harm or death. Chases for traffic or property crimes were prohibited – a move expected to reduce pursuits by 90 per cent. In Boston, police are allowed to chase where a vehicle was being driven in a way that “poses threat or harm” and Long Beach California allows pursuits only when drivers are so impaired they might cause death or serious injury, or when violent offending is involved. Plainly, what we are suffering from here is a failure of political nerve. The Police have an entrenched culture on this subject – one that consists of a toxic mixture of macho bravado and a readiness to risk killing offenders rather than have them avoid capture – that has fatally skewed their judgement. As Deborah Manning pointed out, the responsibility for restraint cannot be entrusted to either the speeding miscreant or to the officers in hot pursuit, given the ‘red mist’ of adrenalin that other jurisdictions have recognised is likely to envelop both parties during the course of a chase. Within the current Labour caucus, Greg O‘Connor has spoken out strongly in the past in defence of existing Police pursuit practices while he was in his previous job heading the Police Association. The present situation is likely to continue, judging by the spineless performance on RNZ this morning by Police Minister Stuart Nash, who has already ruled out a ban on Police pursuits even before the next review comes rolling down the chute. So the ‘generational change’ promised by new National Simon Bridges has turned out to have Judith Collins as its cutting edge. Are we really in for another media-led resurrection of Collins in her ten year old Crusher costume, as if she was still a relevant political figure in 2018? Apparently so. Jami-Lee Ross and Sarah Dowie have been vaulted up the rankings, while more obvious talent (eg Todd Muller) has not been advanced to any significant fashion. It’s also a bit hard to see the logic involved in punishing Nicky Wagner for losing Christchurch Central (down 18 places to 40 in the caucus rankings) while not rewarding Chris Bishop at all for winning Hutt South from Labour. Presumably, this is a petty example of utu by Bridges for Bishop publicly supporting Adams’ leadership bid – but again the logic is odd, in that Nikki Kaye (who also publicly backed Adams) has been allowed to hold onto her previous job in Education. No matter. If Collins is the best card that Bridges can find to play right now, it looks like game over already, for 2020. National’s brighter talent just has to be patient. This current lot will soon be history. Here’s a song that encapsulates the modern Police policy on pursuits, and the likely mood en route within the police cars. Its still 1968 out there, folks! Pedal to the metal, and race with the devil… until it ends in tears.